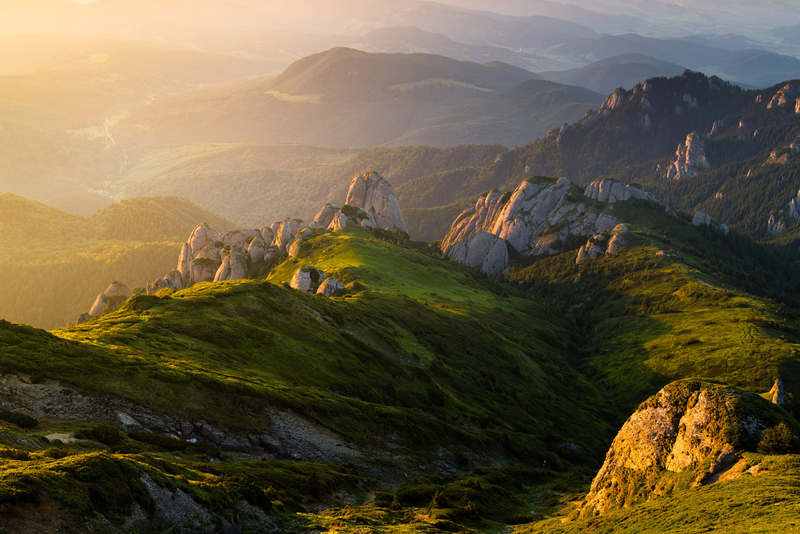 Romania reveals itself to you through this amazing tour, presenting the worldwide known aces: the Carpathians Mountains. Come and travel with Albatross and let us show you an amazing country. We are one of the few that know the true mysteries of Romania. We are experts in travel and tourism services. We present you a 5 days tour that lets you discover our secrets. Departure from Bucharest at 9 am. Drive for 140 km to West to reach Curtea de Arges Monastery. Continue through the Carpathian Mountains of Wallachia and reach Vidraru National Park. Stop for lunch there (optional) and then go to the ruins of the real castle of Vlad the Impaler, situated nearby. Continue to the most beautiful alpine road of Romania (Transfagarasan), climbing by car up to 2000 m altitude. Enjoy the spectacular view of the glacier lakes and then cross into Transylvania. In the evening, arrive in Sibiu, a city with a beautiful medieval center, declared the cultural capital of Europe 2007. Sightseeing tour of the old Sibiu, including stop to the Bruckenthal Palace, the Evangelical Church, the Old Tower. Accommodation in Hotel Levoslav 4* in Sibiu. In the morning, go to Rasnov, where you have the chance to see the peasant fortress of Rosenau. Drive for 20 min to reach Bran Castle, made so famous by the tourists and the Count Dracula story. Late in the afternoon, admire the Cantacuzino Palace in Busteni. If you are a fan of the wine tasting, you will have the chance to explore sparkling wines from the area on an optional stop to a local winery. Early evening, arrive in Sinaia, where your 3* hotel (Bastion) is situated. Visit Sinaia Monastery in the morning. The name of the monastery and afterwards, the name of the resort, come from biblical Mount Sinai because the old church inside the monastery walls was built between 1690 – 1695 by the prince Mihail Cantacuzino as a copy of St. Catherine Monastery from Mount Sinai, after he visited it on a pilgrimage in Egypt. There is also bigger, red brick, new church built by monks under the supervision of Abbot Ioasaf from 1842-1846. Late in the morning go to visit Peles Palace. This was the summer residence of the Royal Family in Romania. This was the first building in Romania with an elevator, central lightning system, central heating and central vacuum cleaner. After lunch (otional) you can enjoy the visit of Pelisor Castle, a small museum dedicated to Queen Maria of Romania. Drive back to Bucharest for 2 hours and arrive there early evening.